Before a new resident arrives at Emerson House, every effort is made to create a gentle and welcoming transition. This begins with a comprehensive assessment, which includes the prospective resident, their family and physician. Our next step is to develop a customized plan of memory care taking into consideration the resident’s social history and medical needs along with recreational interests, spiritual dimensions and other personal issues to ensure their well-being and comfort. Specially selected and highly skilled team to supervise all activities 24 hours each day. Registered nurse and specially trained medication aides on site. Delicious seasonal menus designed by professional chef to meet all dietary needs and help stimulate appetite. Daily in-house activity program offering opportunities for companionship, mental stimulation and exercise. 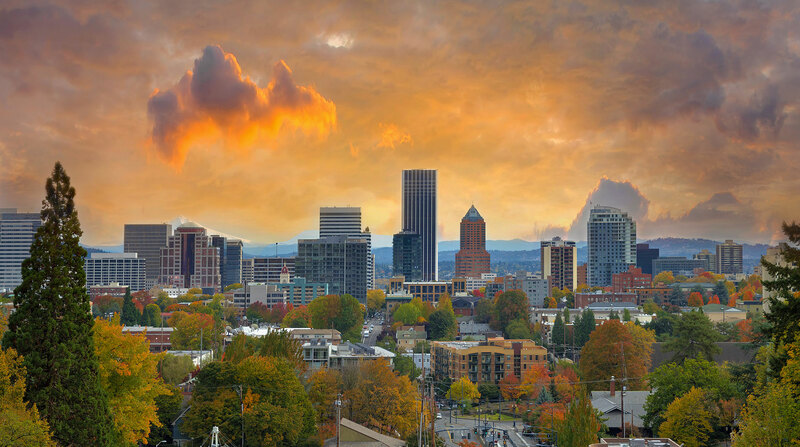 Twice monthly excursions to places of interest in Portland and beyond. Assistance with personal hygiene, including bathing, grooming, dressing, and incontinence management. Family support groups and meetings. Closed circuit cameras throughout the building and perimeter offer safety and security to residents. Entry key fobs offer easy access for families. Secured and inviting outdoor garden and verandas where families can gather. Optional services include: Beauty and barber salon, professional foot care clinic, and dental hygienist visits. Professional housekeeping staff providing linens and personal laundry service. In addition to long-term residential care, Emerson House offers respite (when available) and adult day care services. Emerson House was designed and built in 1999 specifically for those with cognitive and memory impairments. Many architectural details were incorporated into the building design to support residents with dementia including a circular floor plan that provides ease of access and continuous walking opportunities; community dining rooms and activity areas on every floor, and individual memory boxes that help residents recognize which room is theirs while keeping them connected to family and happy memories in their past. A unique aspect of Emerson House is its three distinct resident environments. Located on the ground floor of Emerson House are the administrative offices, kitchen, laundry facilities, conference room, and our Lower Terrace Residential area. This is an intimate space for seven residents that mirrors an adult care home and is perfect for residents who like the security of a smaller environment. Above us are the two residential floors with capacity for 24 residents on each floor. The 2nd and 3rd floors are identical in layout, but like the first floor each has its own distinctive look and personality. The 2nd floor (Middle Terrace) is designated for residents who are more advanced in their dementia and have special behavioral and daily care needs. Our RN and our Resident Care Coordinator have their office on the 2nd floor. The 3rd floor (Upper Terrace) is designated for residents who are more independent and can do many things for themselves with minimal assistance or verbal cuing. The 3rd floor also has our beauty/barber salon which is used by all residents in the building. These larger residential areas on our upper floors are important for people who need more space to move around in and more opportunity for social interaction. The three environments also give us the ability to design Life Enrichment programs for the special needs of all our residents. When you step off the elevator and onto one of our upper floors, you will immediately find yourself in the great room area of our residents’ home. This is the hub where all activities, meals and day to day living takes place. Open dining and activity rooms and perimeter hallways allow residents to move freely and easily through their home, settling where they like to enjoy a book, a conversation or one of our many daily scheduled activities. Although all food is cooked in the large commercial kitchen on the ground floor, kitchenettes off of each upper floor dining room help maintain the home-like atmosphere and to store snacks and midnight treats for residents who are unable to sleep. For first floor residents, this need is met by their proximity to the kitchen itself. All of the upper floor resident rooms are located around the perimeter of the building. Large windows in each room provide ample natural light and scenic neighborhood views. Additionally each of our upper residential floors has a secure, enclosed balcony for residents and families to enjoy.